Here you can see How To Create MEMOJI on iPhone X via iOS 12. 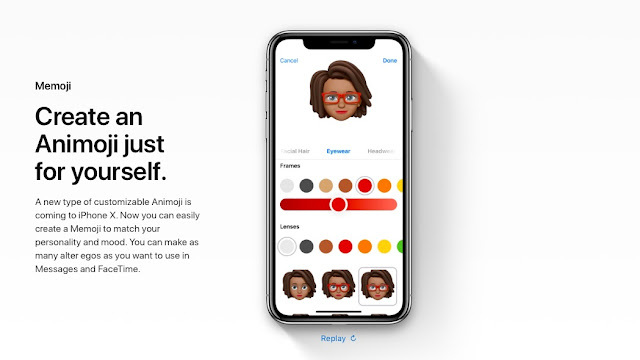 It's free simple guide for all who want create MEMOJI on their iPhone. Memoji will appear only in iOS 12. A new version of the operating system will be released in the fall of 2018. Until the official release, developers and members of the open beta program will be able to test the personal Animoji. The innovation will work on smartphones equipped with the Face ID system. 5. Wait ... and... click on the "Done" button. The new Memoji will be saved in the library with the rest of the animated smileys.